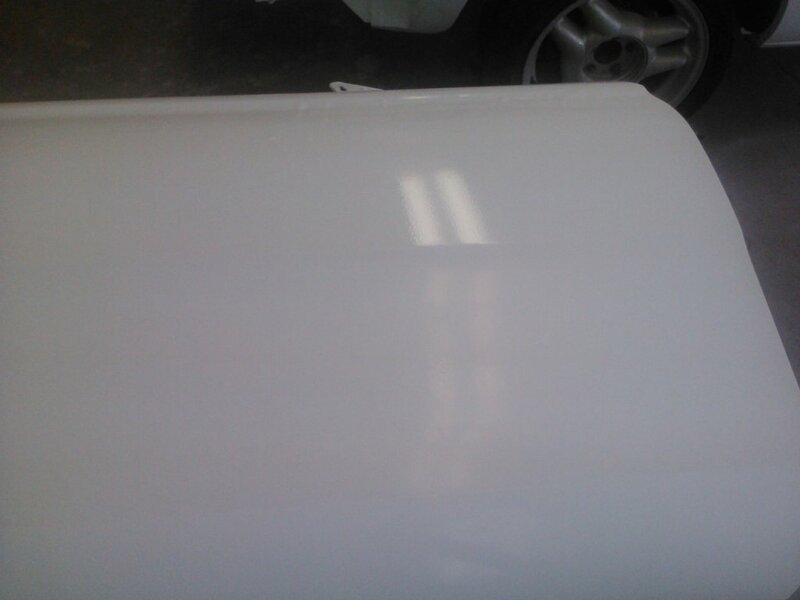 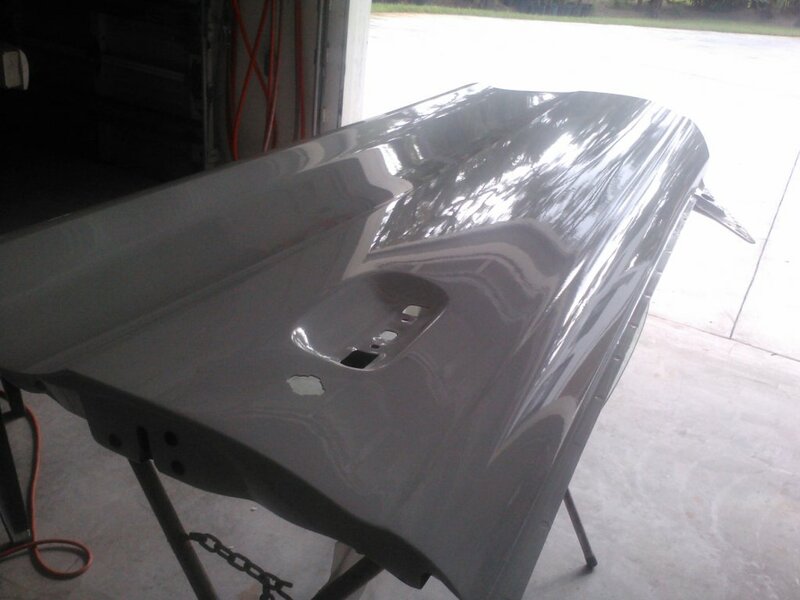 "Cutting & Buffing" is body-shop slang for wet-sanding and compounding & polishing a newly-painted vehicle. 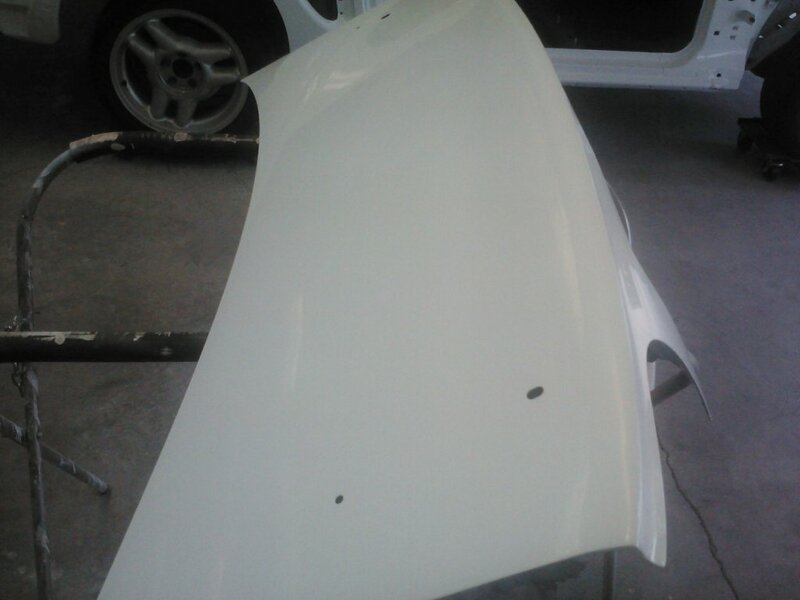 It is done to remove imperfections in the paint such as 'orange-peel' and 'dirt nibs' that happen in almost every paint job. 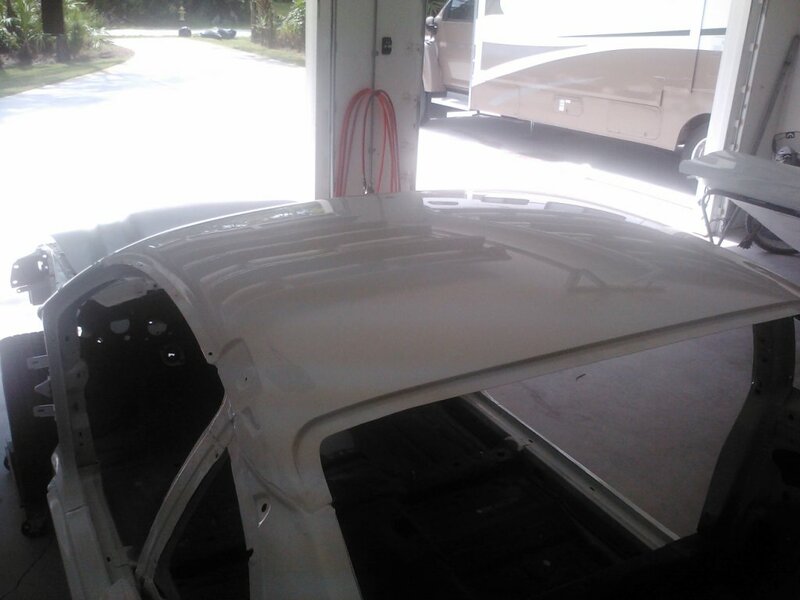 A bucket and a spray bottle of water and I was ready to start sanding the deck lid. 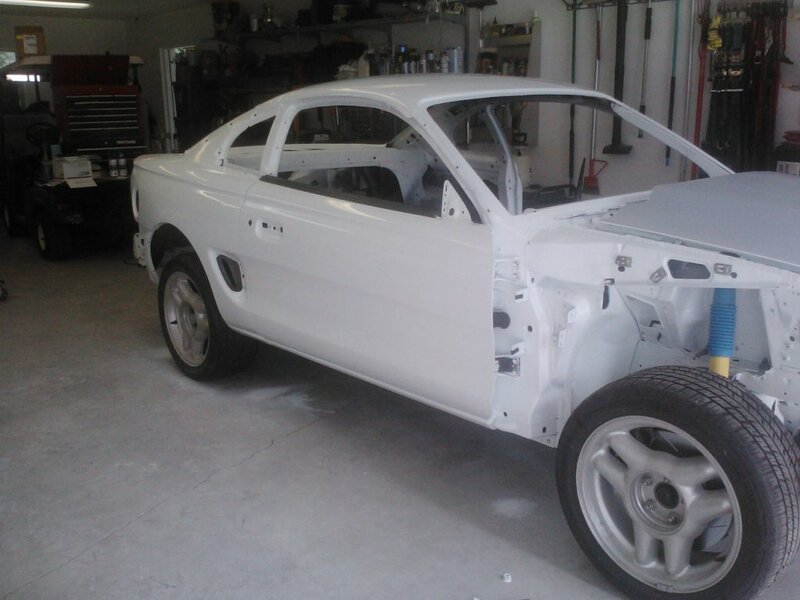 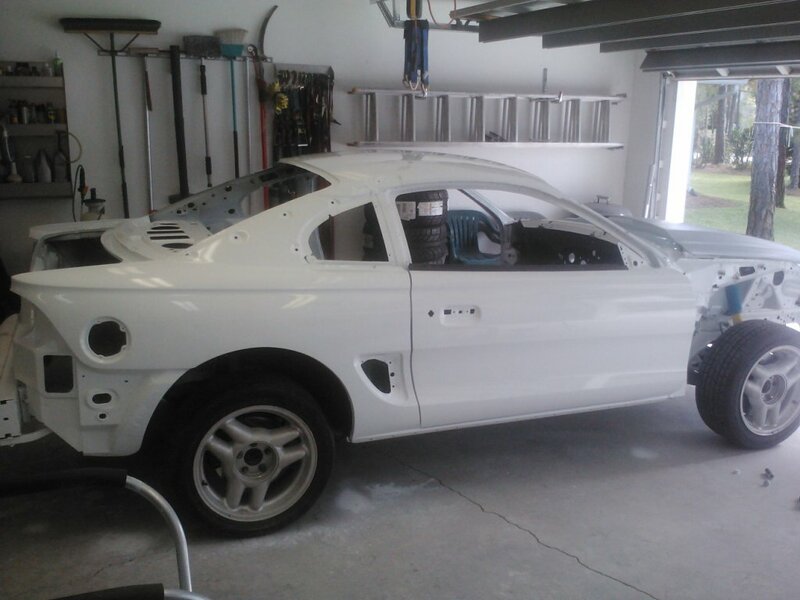 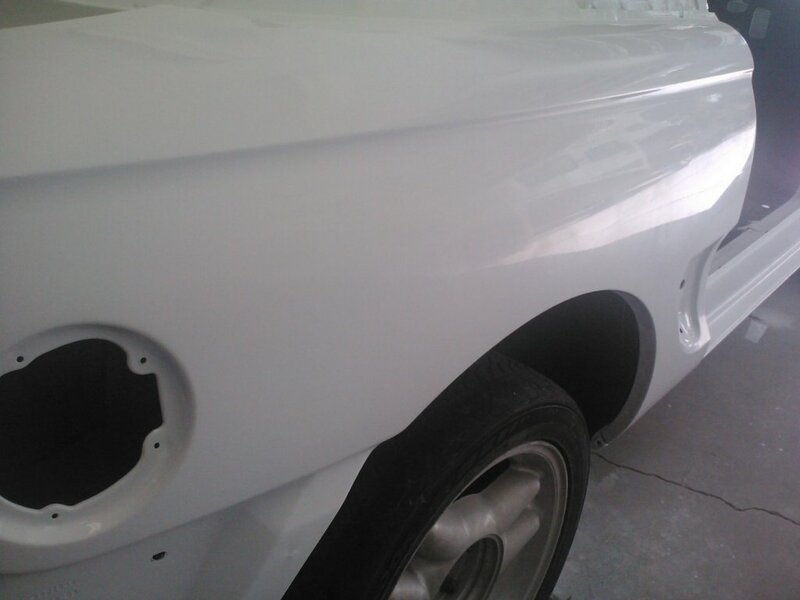 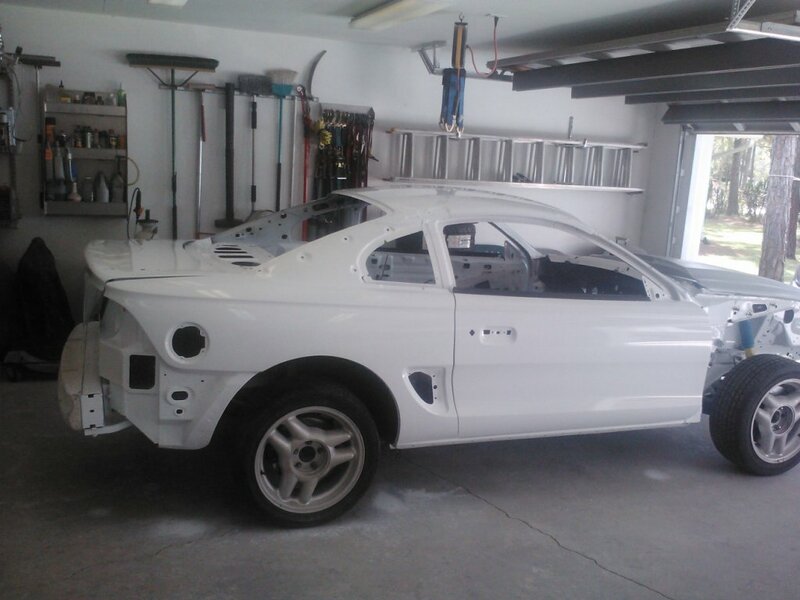 This was my first time ever wet-sanding fresh paint, so I'm sure that I was extremely slow. 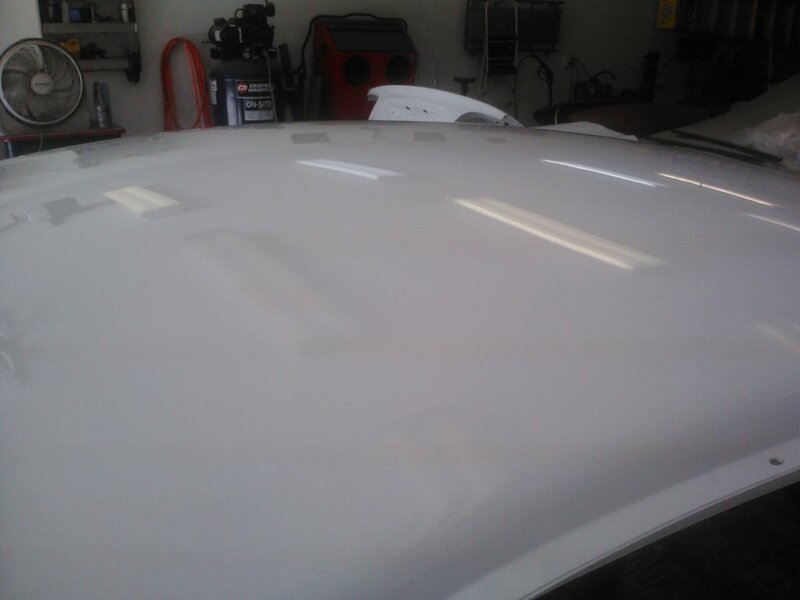 I constantly checked my work by wiping off the water to make sure I was not taking off too much paint. 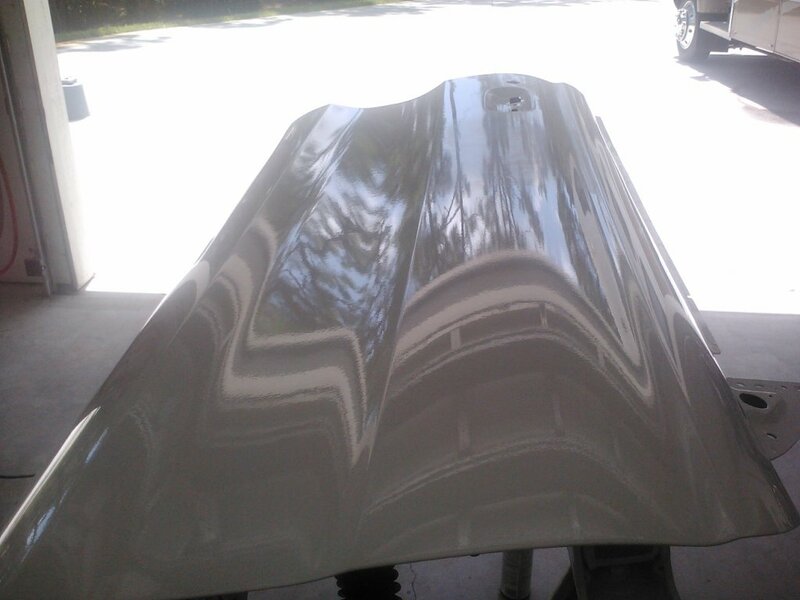 As I continued to the doors, roof and quarter panels, you can really start to see a difference in the reflections of the parts that have been sanded. 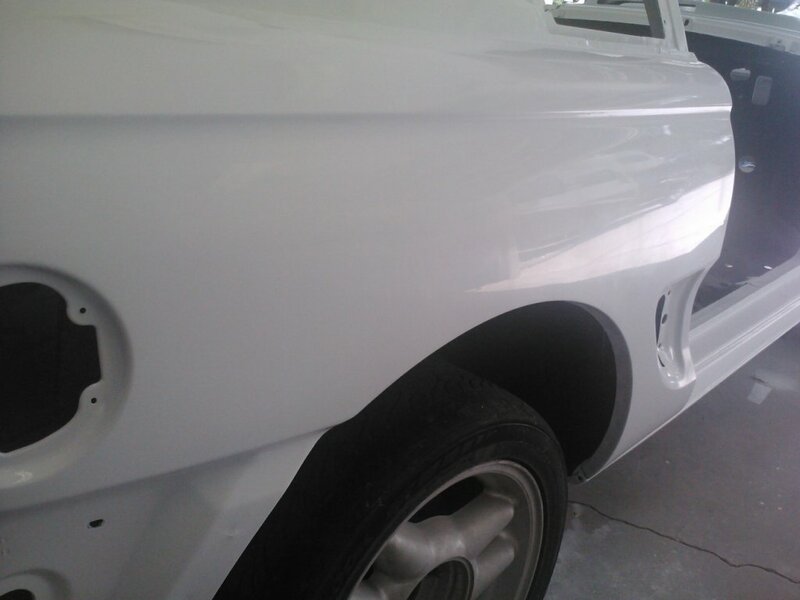 I purchased a 3M "Perfect IT" Buffing and Compounding System for buffing the paint. 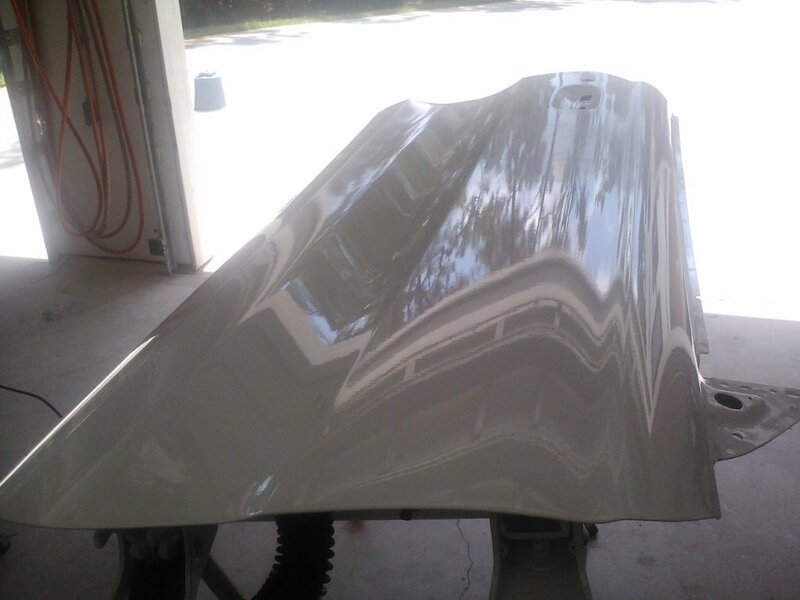 The 3M system includes the chemicals and pads needed to compound, buff and polish your paint. 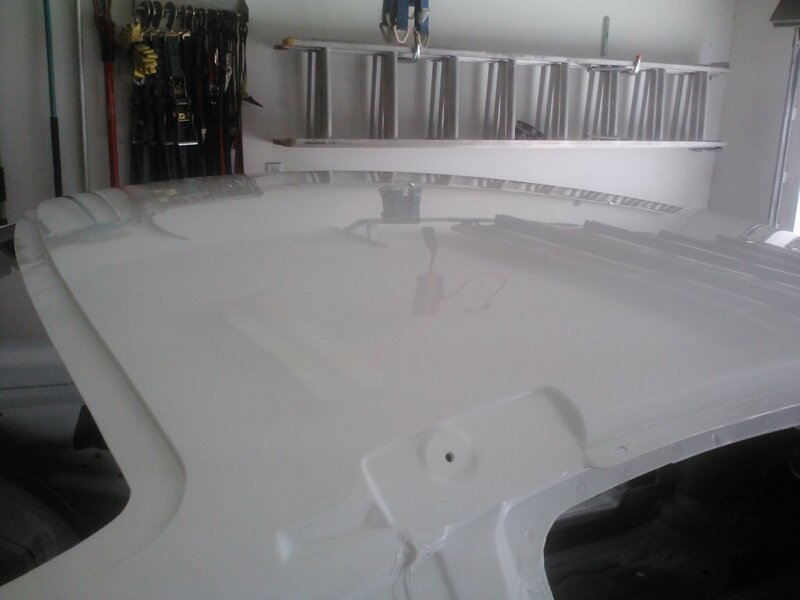 The chemicals and pads are number and color-matched for each type of use and chemical, so it's really hard to screw it up. 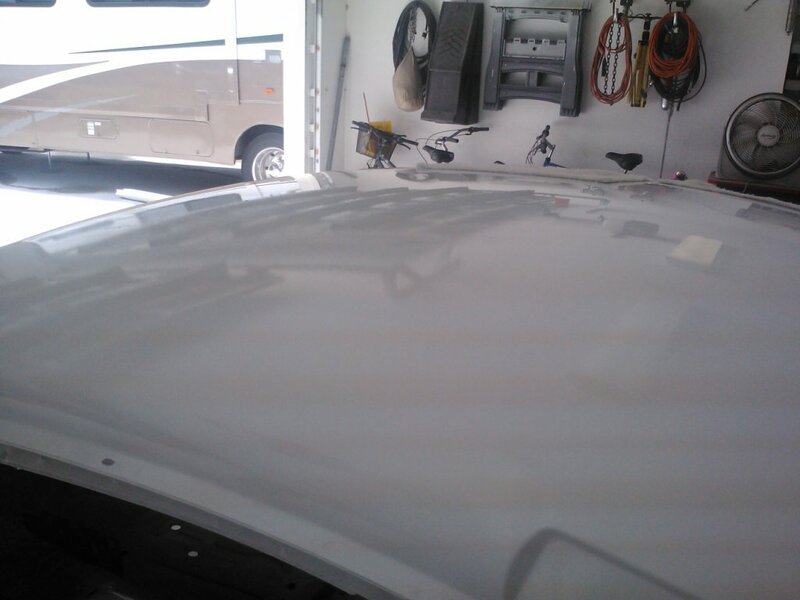 The results you see here are just from the compounding stage and they are great! 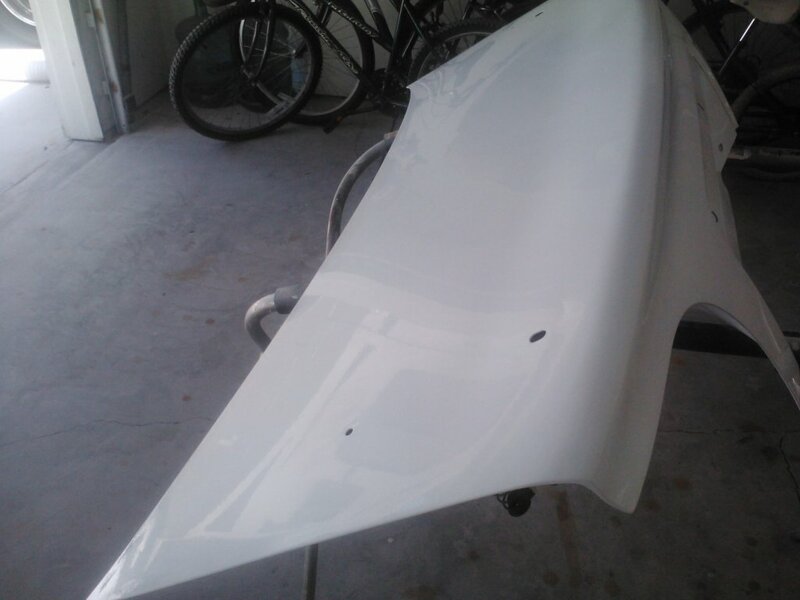 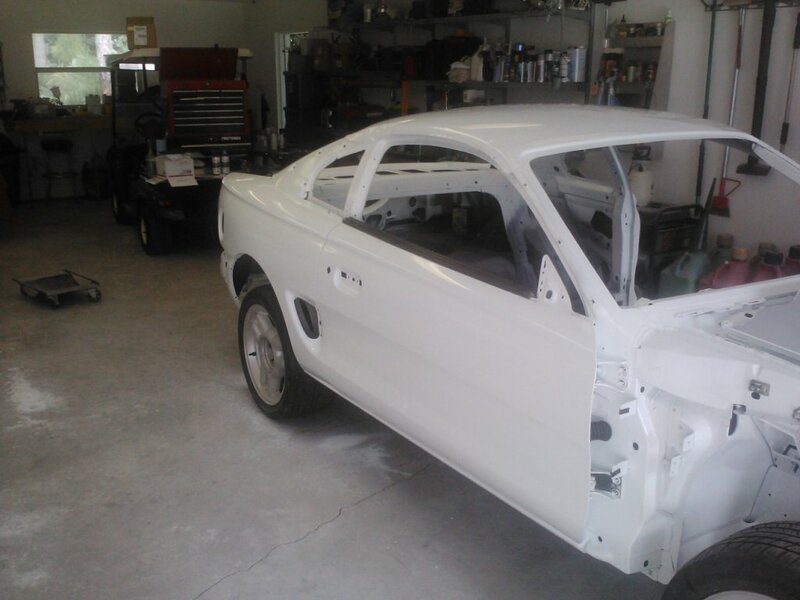 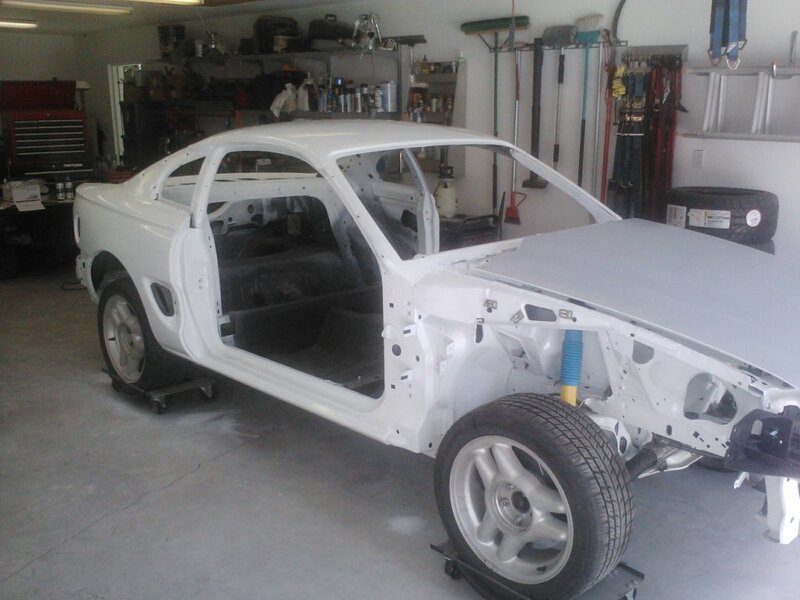 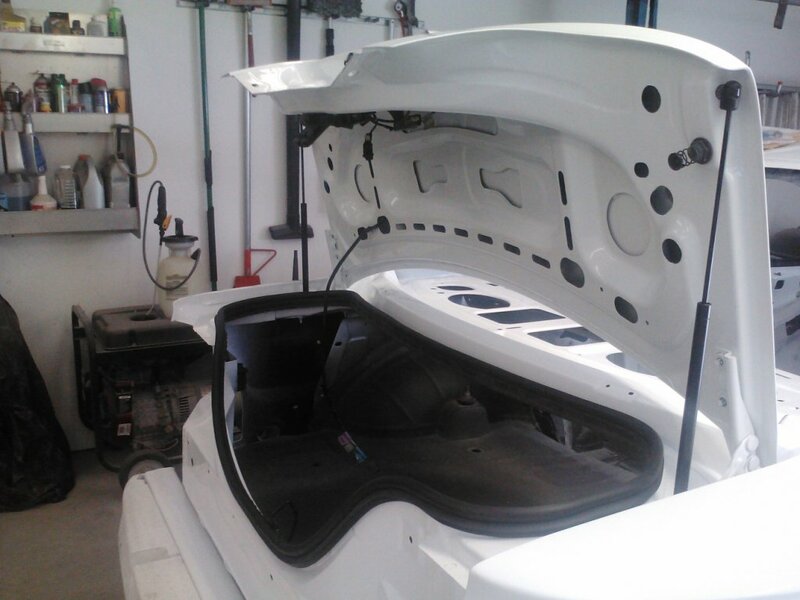 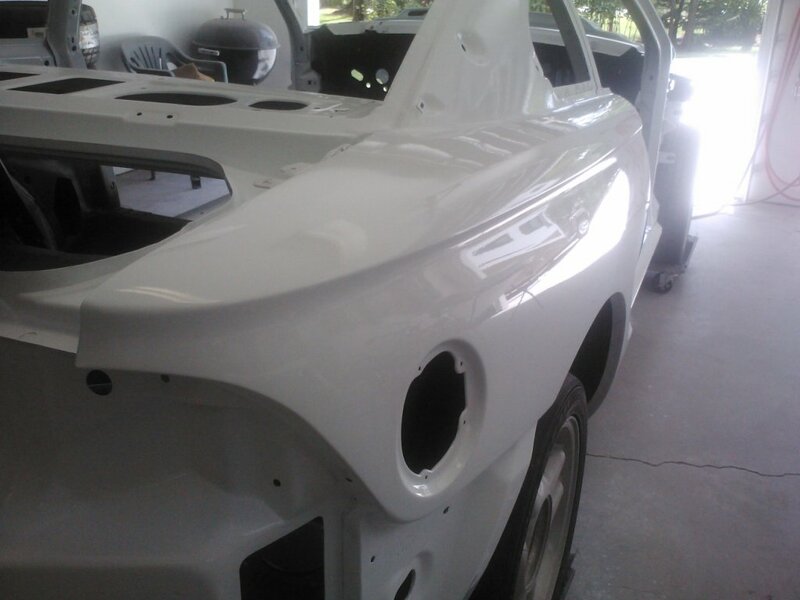 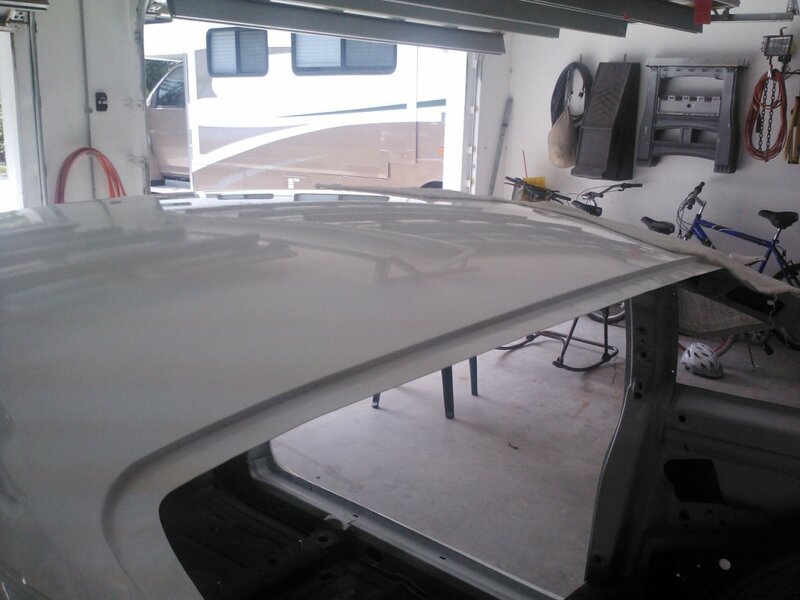 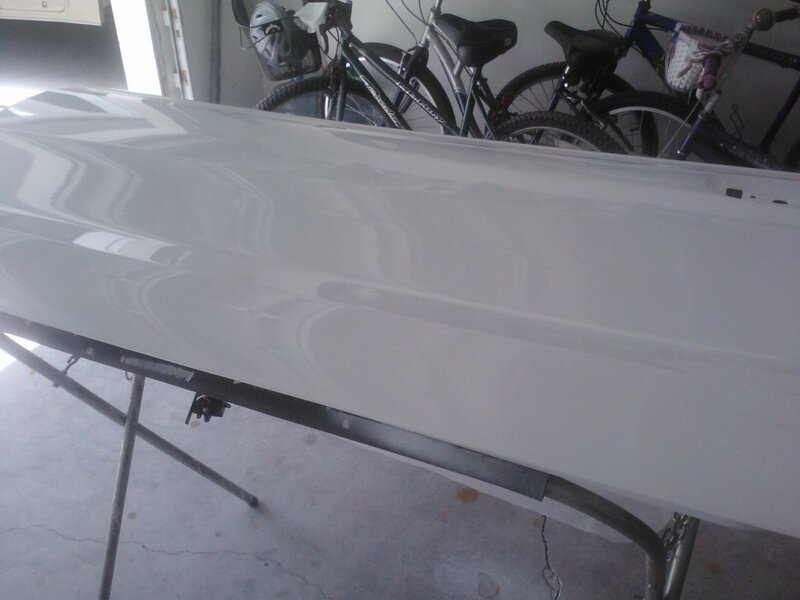 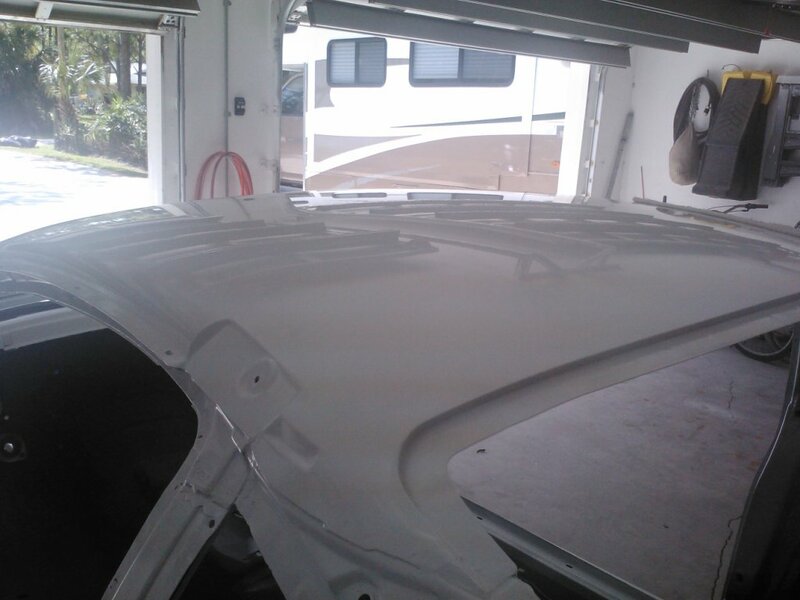 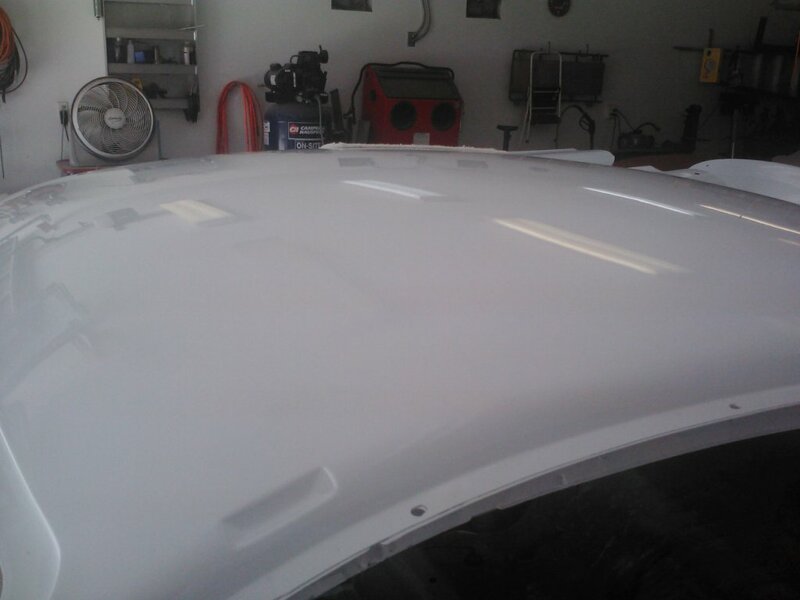 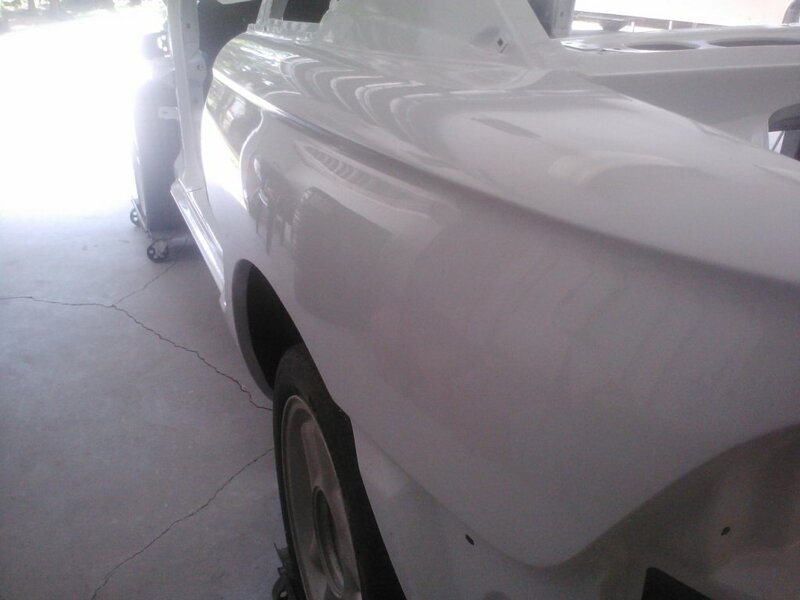 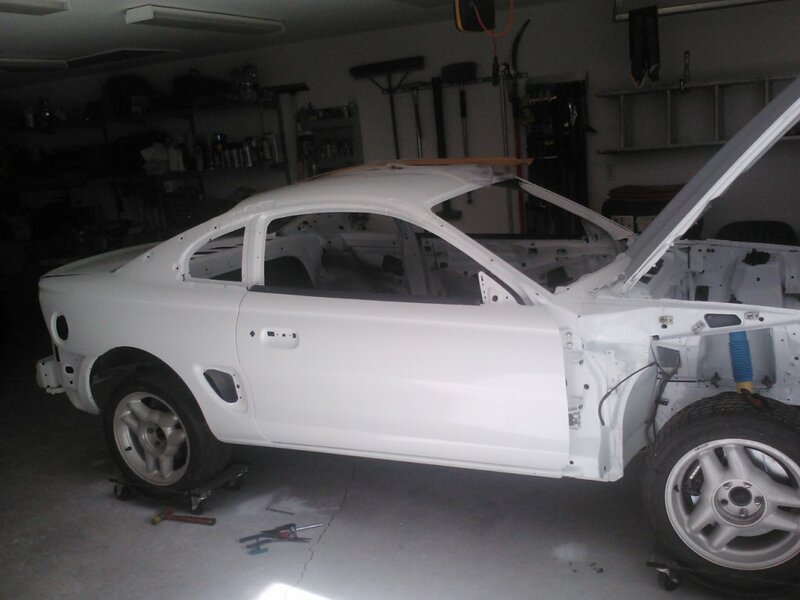 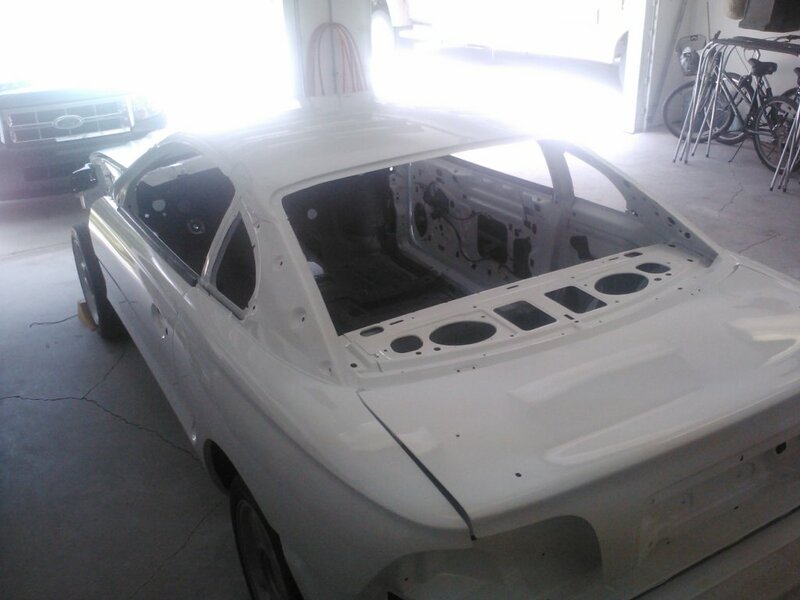 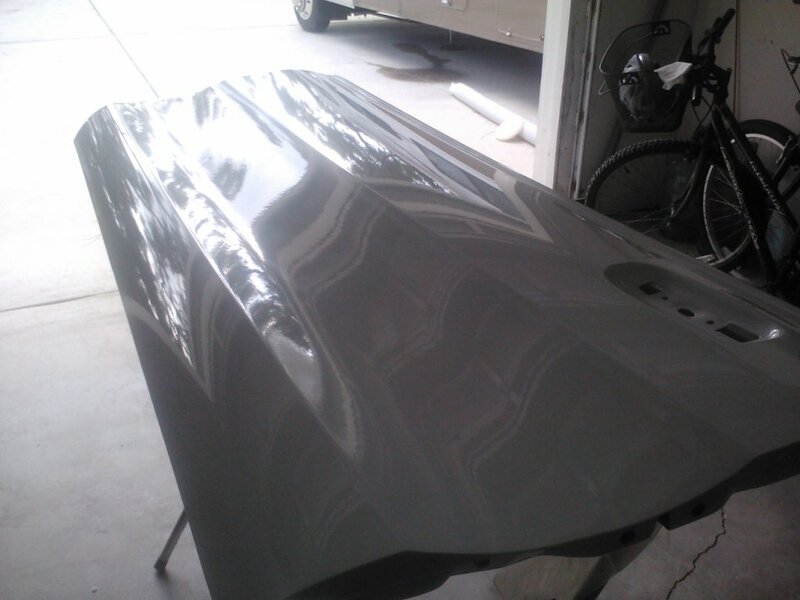 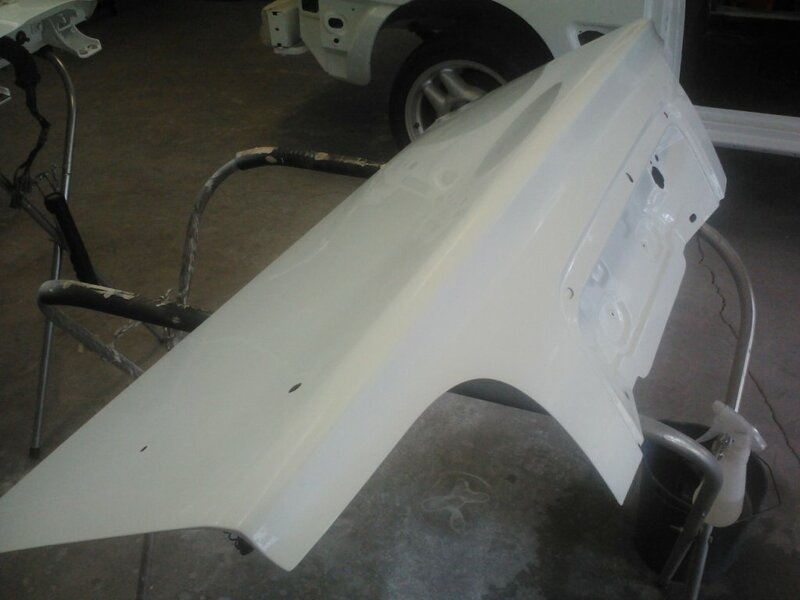 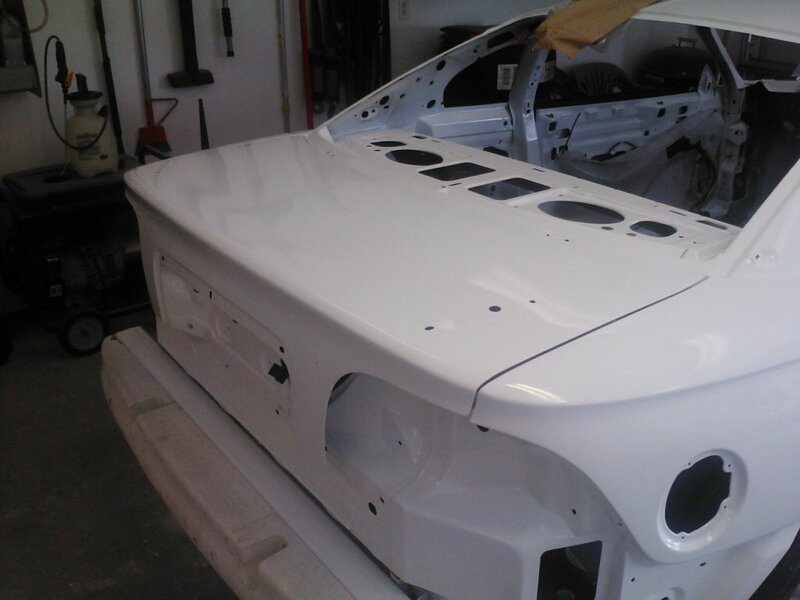 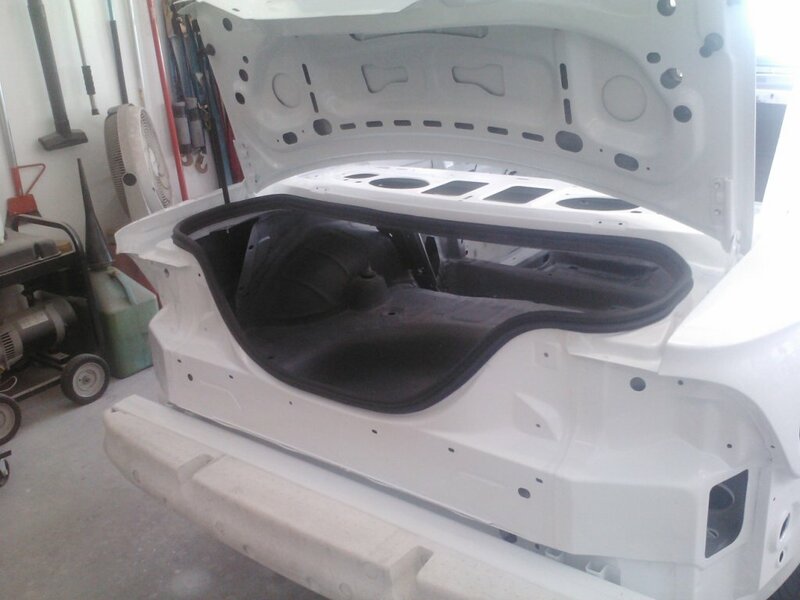 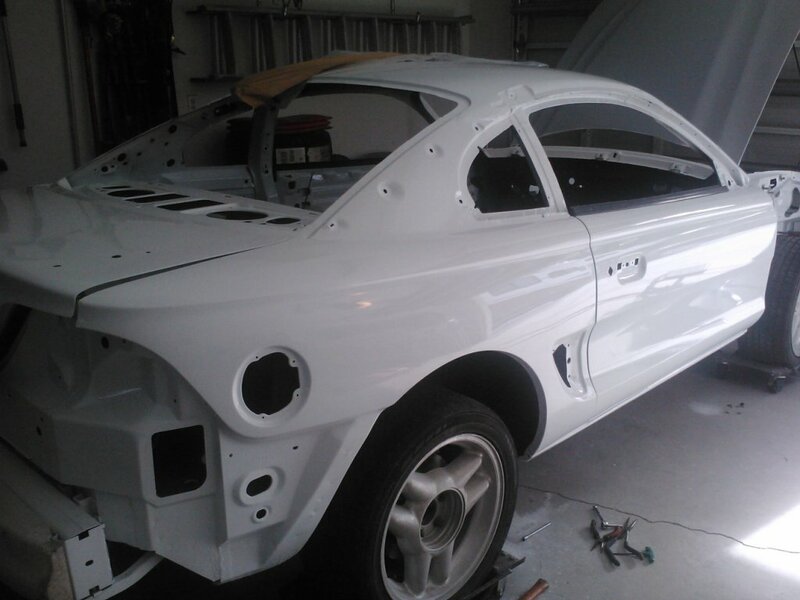 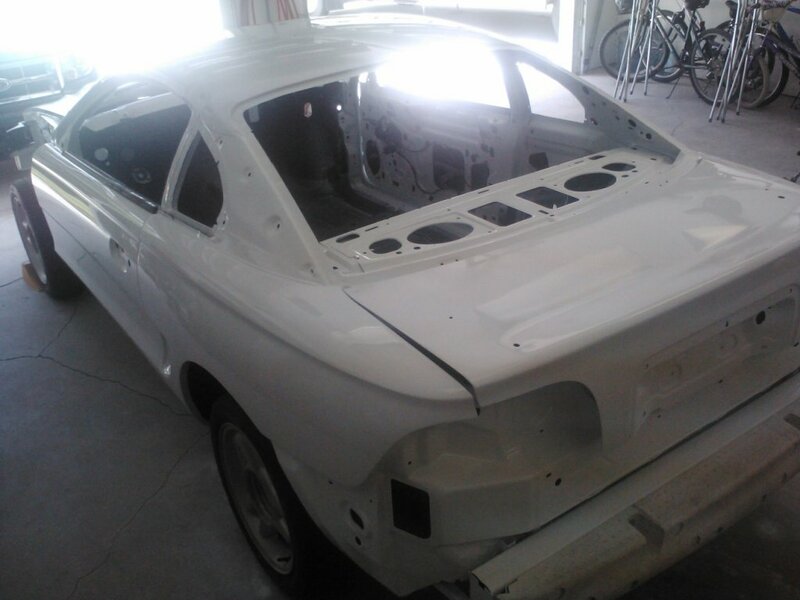 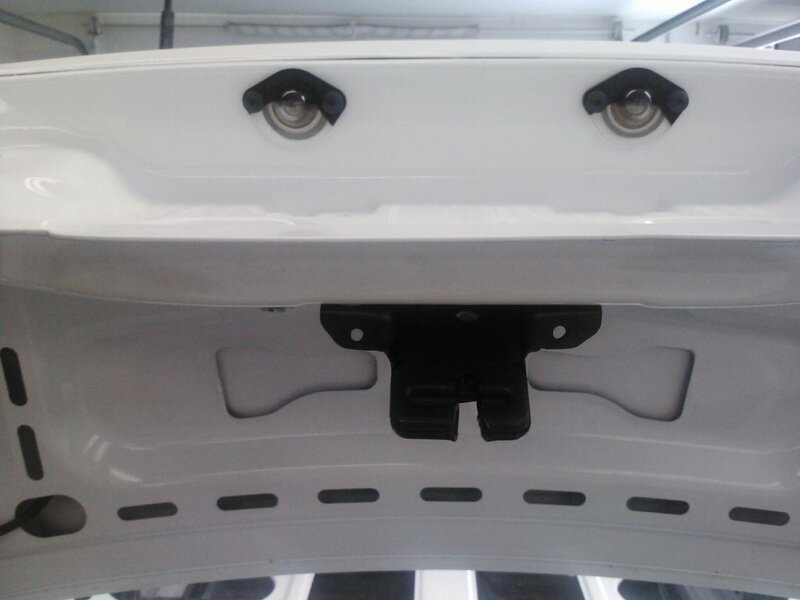 After that was finished, the doors and deck lid were installed on the car and the gaps set. 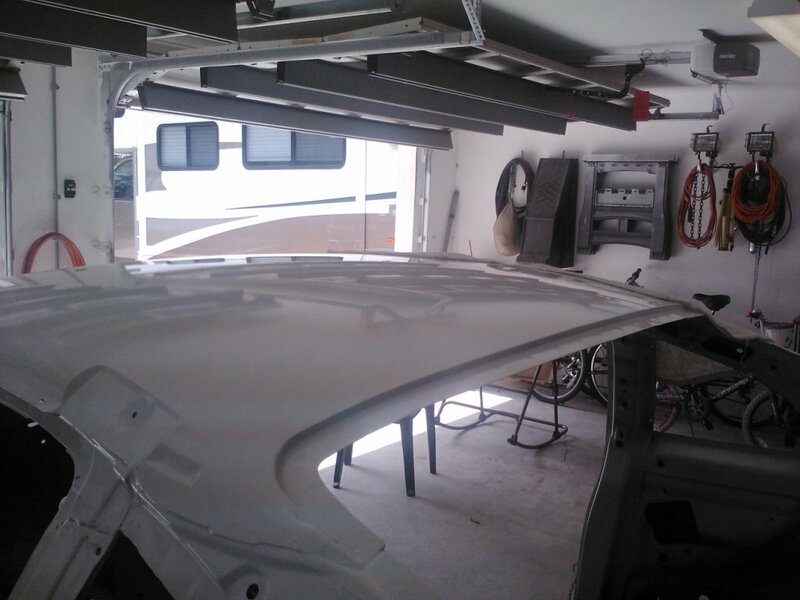 The strikers for both were installed and the deck lid latch mechanism and wiring were put in too. 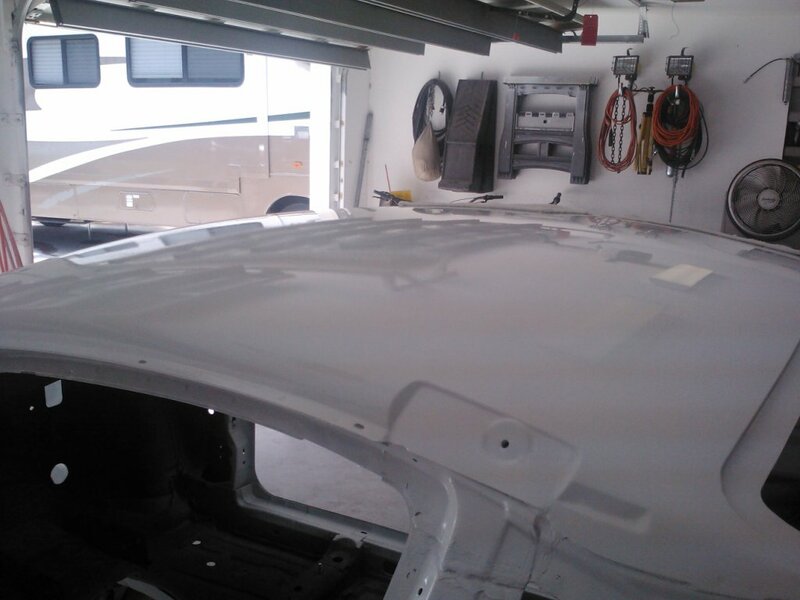 The deck lid was finished off with new struts and a new seal. 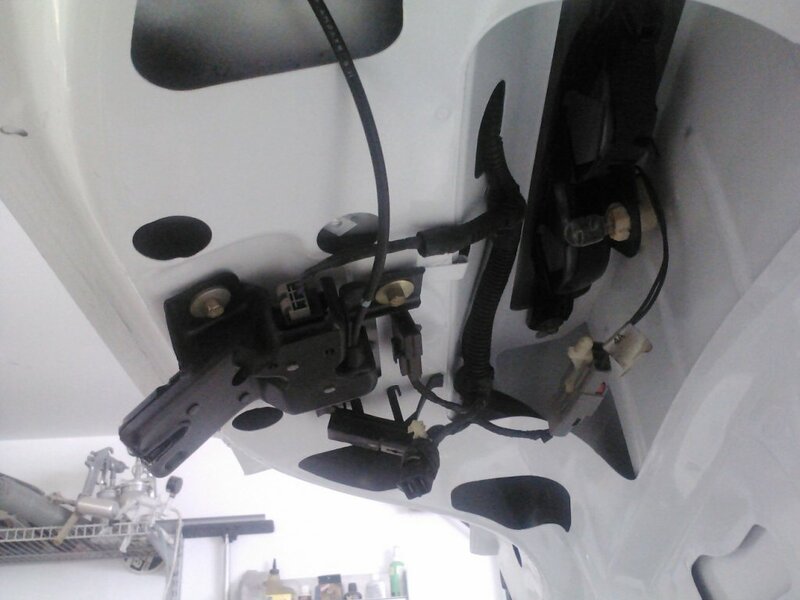 New lock cylinders & keys for the car will be arriving soon.